Recently, Lashaan did a post about how people get into reading and he asked people to share their experiences. That was too good an opportunity to pass up, so I decided to jump on the wagon and make a post out of it. Last year I had done a post on my History of Journaling, so I decided to continue in that same vein. I’m definitely one of those who grew up reading. I can vaguely remember my mother reading the Little House on the Prairie books to me before I could read and I definitely remember the Bookmobile. The bookmobile that came to our apartment complex was bright orange, and a bit newer than the one in the picture below, but in 1985, not much newer! We didn’t have the money to go driving about whenever, so if I wanted books, I had to get what I could when it came every two weeks. I remember once I got a picture book that had a story of Baba Yaga in it and I had nightmares about the house with the chicken feet for days afterwards. My parents were a bit more vigilant about what I got after that. When we moved to Pennsylvania, we were in a small town at the edge of Amish country and the library was only a mile away, so it was within walking distance. By my late teen years I was helping out at the library and had developed my love of SFF due to the 2 small shelves of SFF hardcovers and 1 spinning rack of paperbacks of that genre. It was at this same time that I realized my dad had several boxes of books packed away in the attic, mainly consisting of Heinlein and myth and fairytales. It was always a special treat to be allowed to go up in the attic and pick one of them out to read. Once I started working in highschool and had some money, I also began joining up with the Science Fiction Book Club every couple of years. Those were the days when you could join, pick 6 books for $5 and then buy 2-4 more at regular price over the next two years. You also could get referral bonuses of 2 free books if you convinced someone else to join. I regularly double dipped using my brother. I’d join up, get all the books. Then have my brother join up and get the 2 free books myself AND it would actually be me choosing all the books under his name. I was rolling in hardcovers! That’s how I ended up with so many of Terry Brooks’ books that I eventually (un)Hauled. In 2006 when I bought my condo on the 3rd floor and had to haul up all my books, I swore I’d not move for at least a decade. 12 years later, still living here and quite content. My days with the SFBC are done, as their business model changed and my income changed. Also, I was just getting into ereaders and they didn’t offer ebooks. Today, except for vary rare occasions, my reading is almost exclusively on my kindle Oasis. My eyes really like the adjustable font and having such a light device I can use one handed while lounging on the couch, thus enabling my free hand to deliver energy drinks or small snacks to keep me nourished. A veritable paradise! Back in 2000 I was reading 40-60 books year and I was heavily into anime. That yearly number has climbed until I’ve plateaued in the last 5years or so at between 150-200 books a year. I expect to stay within that range as long as reading is my main hobby. Should it ever be displaced, I suspect I’ll be back down in the 50’s range. I’m a reader and it’s what I’ve always done. This entry was posted in Uncategorized and tagged 2018, A History of..., Non-Review, Personal. I wish I had something like the Science Fiction Book Club when I was a kid! 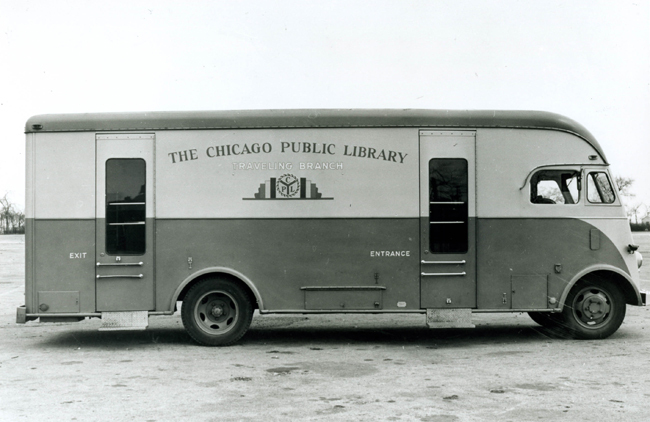 And even the Bookmobile. Do they still do that? I think almost all the bookmobile programs have been shutdown or are in the final processes of shutting down. They served low income places like where we lived then and now, sadly, those places usually aren’t safe. And of course, budgets. Libraries are becoming more of a computer center for those who don’t have one or internet access. 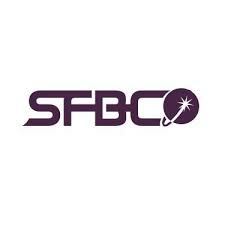 As for the SFBC, I don’t even know how I found out about them. I “think” it was because I found one of those club cards in a Mack Bolan book and joined that at 15. Then my name got on a generalized bookclub list. But that is speculation to be honest, I just can’t remember. Aw that’s a shame about the Bookmobile. But yeah, lots of libraries hurting for funding these days, I guess that would have been a program high on the list to be axed. Interestingly, I was just trying to find some science on reading habits. Too much appears to be about getting kids to read – job done, adults will just keep reading….. – and many start from a presumption and fill in the dots accordingly. 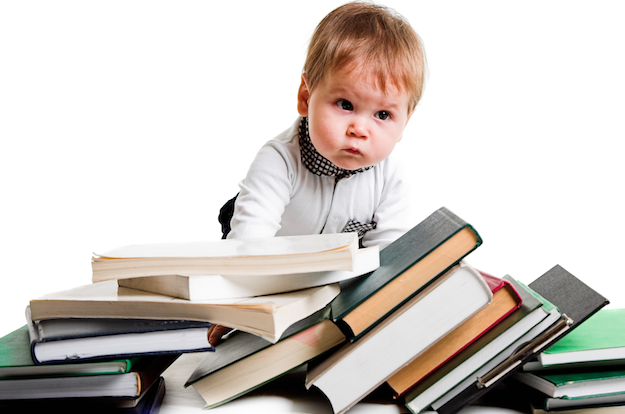 But anyway, several concluded that exposure to books and reading when young is important in creating lifelong avid readers…. Captain Obvious to the rescue. We had our weekly trips to the library when we were in primary school. That was what really got me reading. Makes you wonder if the people doing those studies are readers themselves! Was it an in-school library or did you all load up on a bus and drive on down? I think the people doing the studies are literary snobs and fancy themselves as intellectual elites. I.e. they are jerks. We had a school library, but mum took us to the town library on shopping day. So the town library was where we loaded up. I think I mentioned in my recent review of Hoodoo Man that I’d read my through the kids and YA sections when I was taken to the adult section. Admittedly, it wasn’t a huge library, but I was reading heaps. My dad used to read me LOTR as bedtime stories once I got tired of fairy tales and I get my love of reading from him. I joined BCA’s various bookclubs to get my opening offer and it was never hard to buy the 4 or so books in my first year. After 18 months/2 years I’d quit and they’d offer me a rejoin offer and off I’d go again! Trouble was, all those hardbacks took up too much room on my shelves and I switched to paperbacks only. Yep, shelfspace is definitely an issue now. You would have had to bodily drag me away from there, kicking and screaming! Impressive! I have to admit I had it easy, always living in a (relatively) big city full of libraries and bookshops (no that many left now, of course…). Family library was lacking in s/f and fantasy titles though, so I had to start building mine early. I’ve never been a big city person and now, I’d rather die than live in one. When I was kid I read everything that looked good at the local library and my school libraries. I read less in high school, but started to get back into it during college. On a side note, I read a book in elementary school with the Baba Yaga and her chicken legged house and it was awesome!! For me, highschool and college had a lot less reading simply due to the requirements of school. Homework, reports, etc, etc. I went to a Methodist affiliated college but that meant basically nothing I don’t think I could handle someone dictating my freetime. I did most of my reading during breaks, but that’s when I started getting back into fantasy and scifi and started being more judgmental in my reading choices. The attrition rate was pretty high. But anyone who came back for their second and third year, well, they knew what they were getting into. 150 – 200 per year. I wish I could be more like you. 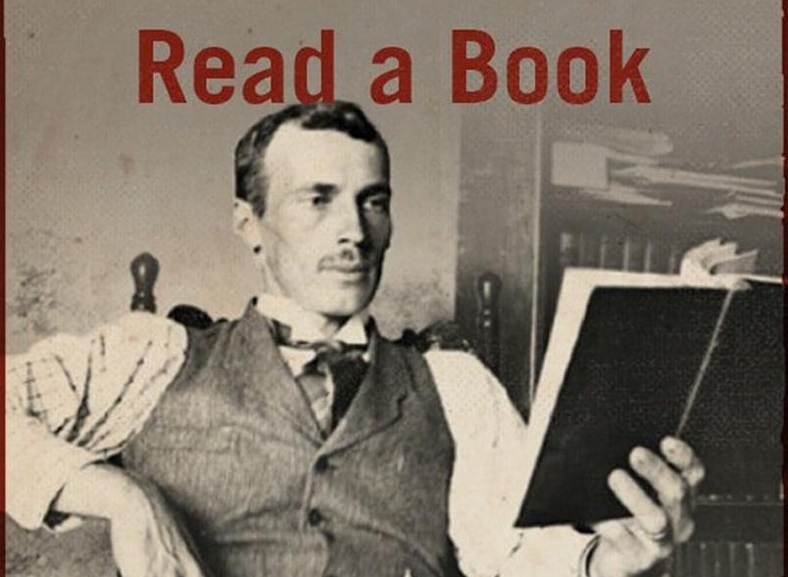 Can’t get behind the e-reader thing though. I need good old tree-corpse pulp. Yeah, ereaders aren’t for everyone. I remember the bookmobile coming by when I was a little kid in rural Nova Scotia in the 70s. I do know that on several occasions they had exclusive hardcovers that I was very appreciative of. The first 2 Riyria Chronicles books are a good example of this. Agreed! And yes, I used to be just fine with the teeny print, and I used to *like* the weight of the huge book. Sometimes I don’t understand myself. That is soo interesting! I’m happy that Lashaan’s post has sparked some stories sharing 😍 I love it ! Thanks for the shout-out man. Clearly you had a nice story to tell and I’m glad you took the time to share it. I swear, what you did to get more out of the SFBC thing is totally something I would have abused myself right now hahahah Who doesn’t like making the most of everything, right? 😀 And the bookmobile is soooo cool. I thought it was a much more modern idea done in the poorer regions of the world, but it was clearly an initiative that was conceived way before. Thanks again for sharing, man. Even though I will probably get rid of most of the sfbc books I own in the next decade or so, due to the rather small print, I don’t regret a dime spent. I read every single book I bought and am now much richer for it! I live in Portugal, not North America. I enjoy the Kindle for many reasons, most of which have already been named on this thread. However, the price of books in Portugal, no matter whether in Portuguese or English, is horrendous. I save a fortune buying eBooks on Amazon, where many books can be purchased for between $2 – $5, while the Classics are free. I buy from the US site, as the prices there are lower than on the UK site. With ebooks, there’s no excuse any more for books to go out of print. I think this is a fabulous thing. And for those of us who read voraciously – not lingering over one leather-bound tome for weeks – there really is no substitute. Heaven indeed. It’s one of the ways I like to spend Sabbath (Saturday) when I can. Are you going to be affected by EU law since you’re buying from Amazon dot com instead of whatever regional version the EU wants you to use so it can collect its euro of flesh from you? And I’m with you on the whole digital thing. A post from you on this whole subject, that would be great! I pay in euros. No worries there. Thanks for the post…I am a book lover too! It has taken me to places I would never visit, I have met people (real and fictional) I would have never encountered and have experienced things that it would take several lifetimes to do. It’s strange but I didn’t actually get into reading, aside from comics, until my very late teens – I was always too busy with video games and movies but I love science fiction and when my Dad teased an intriguing Arthur C. Clarke story (‘Rendezvous with Rama’) and urge me to read it, I did and was hooked and now I wish I had more time to read even more! I firmly believe it just takes one good reading experience to open up the literary world. Thanks for the story Chris. I find it fascinating that RwR was what hooked you. That is the type of book that I’d caution newbs against and yet here it is what hooked you.